National Gardening Week is an initiative run by the Royal Horticulture Society and encourages gardeners from across the world to share their top tips and passion for plants. And what better way to learn about gardening than to spend an afternoon with the man who looks after the gardens of two of our hotels (Gretna Hall and Greens at Gretna) as well as the Gretna Green Famous Blacksmiths Shop gardens. 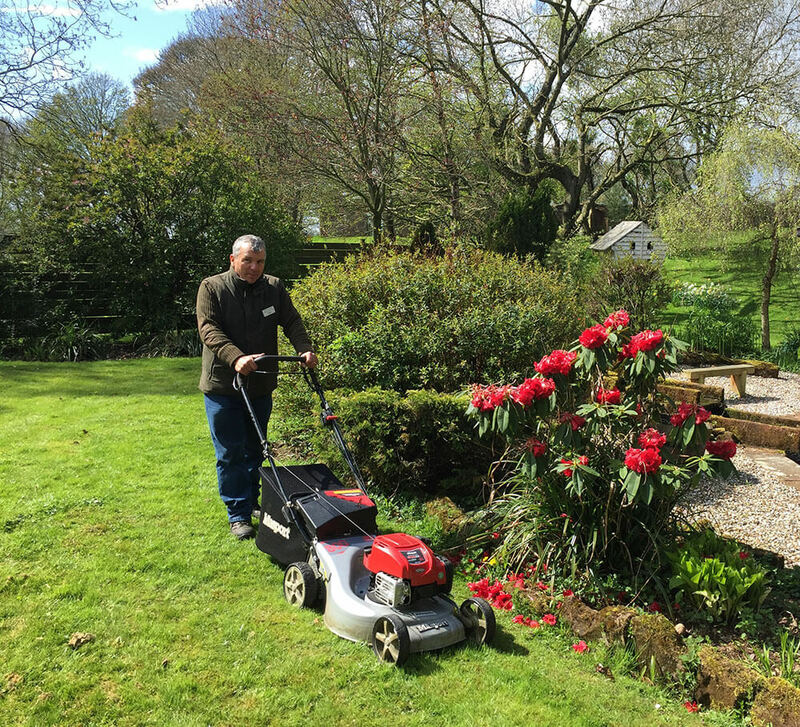 Fraser was previously a senior member of the council and upon retiring decided to go back to his roots – quite literally! Fraser certainly isn’t afraid of hard work. He splits his time between three sites and spends two days of the week at the Gretna Green Famous Blacksmiths Shop, two days at Gretna Hall and one day of the week at Greens at Gretna. But, even with such a busy schedule he ensures that everything is in perfect condition ahead of any weddings or celebrations taking place at the three venues. We’re looking forward to enjoying the fruits of Fraser’s labour this Summer and hope you can come along to see his beautiful work too! To find out more call the hotels direct on 01461 338 257 for Gretna Hall or 01461 337621 for Greens at Gretna.